The internet has brought many benefits to the daily lives of most, not the least of which is the ease of finding information, staying in touch with family and friends and watching endless cat videos. Real estate is one industry that has adopted an online presence with gusto; agencies, buyers and sellers alike are using it as a primary means of promoting, searching for and comparing properties. But there is one phenomenon that may be having a strongly negative effect on the way homebuyers engage with real estate. The “Tinder effect” — the advent of “swiping right” to find a match or “swiping left” to reject it on a split-second first impression — has created an environment that can lead buyers to overlook important intangibles that only come with visiting a home in the flesh. A first date, in others words. It’s something almost everyone is guilty of, and it could be a big mistake when on the hunt for the ideal property. Swipe left, and it’s gone. In reality, that small screen is actually giving buyers a narrow view of what’s really offered. Sure, listings these days come with photos galore, floor plans and videos. Of course, everyone’s time is precious, and buyers might complain that they can’t spend all day traipsing around town. But a home is the biggest purchase most people will make in their lifetime, and they’re letting a constructed, curated digital interface tick the boxes for them? Just like Tinder, buyers might think “I’ll know it when I see it,” but a house is so much more than a selection of well-photographed rooms. By visiting a property, be it an open house or by appointment, the prospective purchaser can absorb the vibe. Every house has “a feeling,” and an in-person inspection offers the chance to understand its relationship to the neighbors, nearby developments and how far it is from the school, the park, the café and the bus stop. And most importantly, the buyers can talk to the listing agent. Even a five-minute conversation will reveal more about how the home meets their needs (or at least could) than half an hour on a website ever will. You time is worth the investment. Don’t lump your house-buying decisions in the same category as ordering a pizza or clicking to buy a new dress or pair of shoes. A home is so much more than bricks and mortar. Memories last longer than ugly carpet or dated kitchens. The Jetson’s might have all the latest tech, but you can tell how much their home suits their family to a T. Don’t put such a big decision in the hands of someone else, or worse, an algorithm. You need to experience your match in person to feel the rooms, the light, the surroundings and the neighborhood. And your perfect match might not be what it seems on the small screen. Look at an open house as a “day date” experience. It’s no more committal than meeting for coffee, and you’ll learn a lot about your preferences in the process — good or bad. It’s an old saying, but it’s still as true today as it was in the 1800s: Don’t judge a book by its cover, especially in a changing market. By all means buyers should use the internet to canvas what’s out there, but hasty glances mean missed chances. Editor’s note: The author is on record as having had no first-hand experience of using Tinder, so the direction of swiping is a “best guess” for the purposes of illustration. 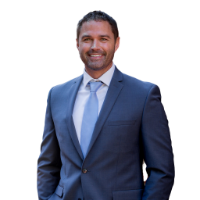 Chris Wilkins is the director at Ray White Drummoyne in Sydney, Australia. Follow him on Facebook or connect with him on LinkedIn.